As the sun goes down over London, the attractions are floodlit and this view of London is not to be missed. Our wonderful city at night has a truly magical atmosphere. Many of London’s iconic building are artistically and creatively lit up just for your enjoyment and appreciation. So, come with us here at Visit London Taxi Tours and see a completely new side to one of the greatest cities in the world! Contact us to discuss your tailor made taxi tour and prices by email or phone. We will show you the very best of London — her bridges and her buildings — all dramatically illuminated at night. There is nothing like stopping on one of our famous London bridges and taking a moment or two to look down the River Thames, it's a simply stunning view of London. If its a romantic tour of London you're looking for, then this is the perfect tour for you. But if history and culture are more important to you than romance, our knowledgable local guides will, of course, share London's fascinating history with you. A London by Night Taxi Tour could be one of the most memorable things you do on your next visit to London. Check out our visitor photos below. If you only have time for a 2-hour tour, please email us or give us a call to see if we can arrange a shorter London tour for you. Are going to be stuck at a London airport all night on a long layover? We can come and get you, take you on a fabulous tour of London and get you back in time for your flight! Find out more on our Airport Layover Taxi Tours page. And if you're looking for a London day tour unlike anything else, you should check out our vast range of London private taxi tours! Your London by Night Taxi Tour Adventure Starts Here! 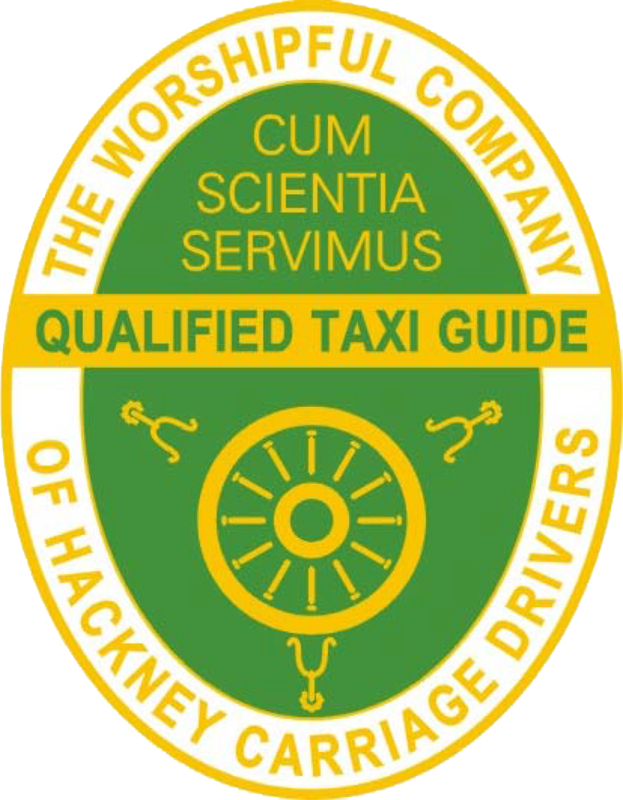 All of our London taxi tour guides have passed the world famous Knowledge of London exam and have on average been driving a London Black Taxi for over 25 years. In addition, many of our London taxi tour guides have additional tour guide qualifications which means their knowledge of London history, buildings, places and people is second to none. Their knowledge and passion for London means that we are confident that whatever tour you chose it will be fun, informative and memorable. Your Taxi Tour Guide will also have numerous anecdotes and personal stories to share with you on that day! Your Taxi Tour Guide will pick you up from your London hotel or any other central London location that suits you. We will send you a SMS text to let you know your Taxi Tour Guide has arrived. When your private tour is finished we can either recommend a drop off point that is in keeping with your themed tour to maximise the sights you see and fun you have that day. Otherwise we would be happy to drop you off anywhere in central London that suits you. Each Taxi can accommodate between 5 or 6 people. Just let us know how many people will be taking the tour when you book. All of our taxis are wheelchair accessible. However, if a person remains in the wheelchair for the duration of the tour it may limit the number of people the taxi can accommodate comfortably. Just let us know and we will work it all out. Collapsible wheelchairs and child pushchairs can be stored in the front of the taxi cab. If you want to see a particular sight on your private tour and don’t know if we cover it, just let us know and we will make it happen. If you see something on the taxi tour that really catches your eye and you want to stop to take a better look just tell your Taxi Tour Guide. Along with your full tour commentary there will be plenty of opportunities to stop and take photographs. Our London Taxi Tour Guide will be happy to take photos of your group, just ask. price of a 4 hour London Taxi Tour. Need a comfort break? Coffee or quick refreshment? Just tell us. It’s your time and your London Taxi Tour. The price is for the hire of the London Taxi Tour and Guide and not per person. All taxi tours cancelled 72 hours before the tour date are fully refundable. Taxi tours cancelled on the same day or with less than 48 hours’ notice are non-refundable. What’s not included in the price of your taxi tour? Loved your London Taxi Tour and want to do another but with a different theme? You are guaranteed a £25.00 discount on the price of your second 3 or 4 hour tour. Ask your taxi guide for 2nd the London Taxi Tour discount code. If you don’t speak English and our London Taxi Tour Guide does not speak your first language we have a solution. We have partnered with Language Line. They offer our tour customers a pay as you go telephone interpreting services in over 240 languages, connecting you instantly to the language and interpreter you require. Read more about Language Line here.